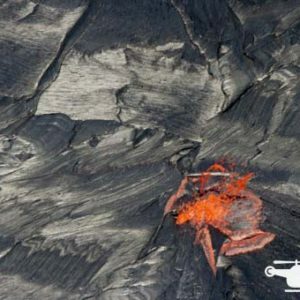 For over the past 30 years, The Big Island has been experiencing the power behind Kilauea Volcano. 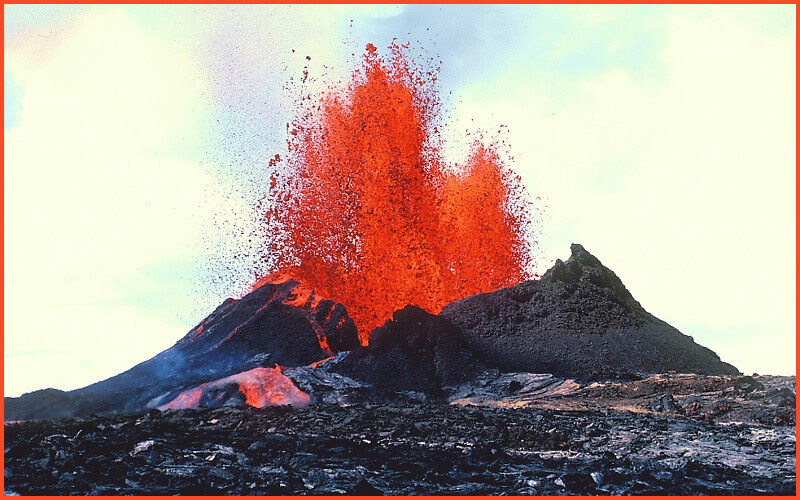 The lengthy eruption has proven to be a destructive force, leveling sections of the island and destroying a series of buildings. The destructive force has also attracted the attention of some of the United States’ most notable agencies, including the United States Geological Survey and the National Aeronautics and Space Administration. Most recently, NASA embarked on a study on Mauna Loa that will have researchers live on the volcano for a period of eight months to simulate the solitude of living on Mars. During their time on the Mauna Loa dome, the team will experience delays in communication and receive supplies via remote controlled drops. While the specifics of the Mauna Loa study are being ironed out, NASA also shifted their focus onto The Big Island’s most active volcano during its current eruption. For the duration of February, NASA is leading an expedition through Kilauea and Mauna Loa from the ground up. The researchers will catalog the two volcanoes from the rock they’re made from and the sky that their towering peaks jut out into. 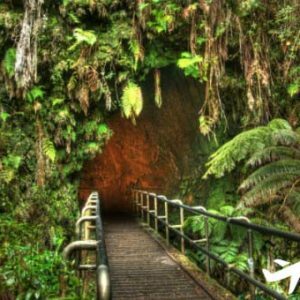 As with many research-led expeditions, NASA’s intention is to get a better understanding of the volcanic formations that make up the Hawaiian Island chain. Using high-altitude ER-2 aircraft and the Airborne Visible and Infrared Imaging Spectrometer (AVIRIS) and the MODIS-ASTER Airborne Simulator (MASTER), NASA will take readings of the terrain in and around the active Kilauea and dormant Mauna Loa. 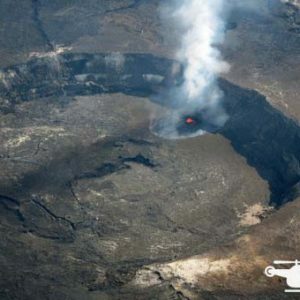 The NASA-developed technology will measure the topographic changes that have occurred since the start of the eruption, specifically how the new lava flows have changed the island’s layout. Additional to how the geography of the island has changed from the continued flow of lava, the study will also attempt to measure the chemical composition of the gas plumes rising from Kilauea. The look into the volcano’s release of hot, possibly noxious gasses, will continue to help locals who are affected by the vog, or volcanic fog, know how to deal with its presence. Furthermore, NASA aims to find a correlation in data that may assist in predicting future eruptions and will look to improve upon the collection of thermal data that will better catalog the thermal output and differences in composition. For future and current volcano eruptions, this will assist in monitoring ongoing activity. 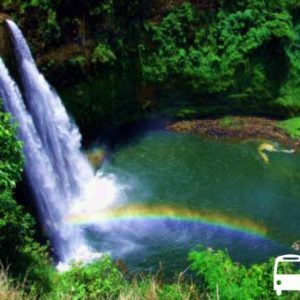 The eruption at Kilauea has been an ongoing destructive force that travelers and locals on The Big Island have been able to experience at the Hawaii Volcanoes National Park. 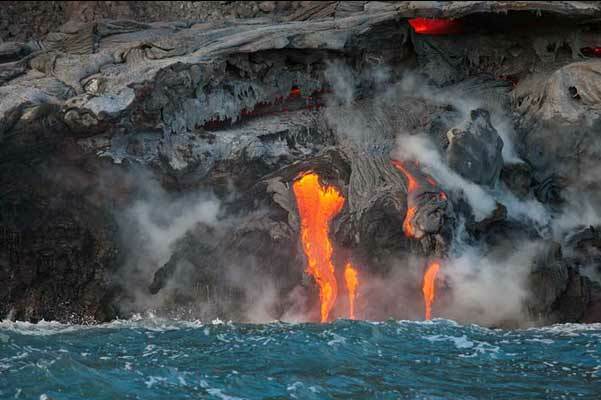 Though a viewing area has collapsed on the outer rim of the island, the continued lava flow into the ocean is viewable from the safety of a lava tour boat. Further details on the volcanic make-up of The Big Island and the Hawaiian Island chain, the Jaggar Museum in the national park details the chemical and physical output of eruptions like Kilauea’s, serving as an entertaining look into Hawaii’s geographic and the destructive force of nature.